Avg. Group Discount of 11.7%! * Western Museum Of Flight, 0.7 mi. * Automobile Driving Museum, 2.6 mi. * The "Fabulous" Forum (former home of the Lakers), 3 mi. * Manhattan Beach, 6.3 mi. * Roundhouse Aquarium, 6.4 mi. * The Museum of Jurassic Technology, 9.2 mi. * Exposition Park Rose Garden, 9.4 mi. * California Science Center, 9.4 mi. * Natural History Museum, 10.2 mi. * Los Angeles Memorial Coliseum, 10.6 mi. * Venice Beach, 10.9 mi. * Los Angeles Convention Center, 11.7 mi. * Santa Monica Pier, 12.9 mi. * Staples Center, 13.1 mi. * George F Canyon Preserve and Nature Center, 19 mi. * Runyon Canyon Park, 20 mi. * Griffith Park, 20.9 mi. * Rose Bowl Stadium, Pasadena, CA, 24.5 mi. 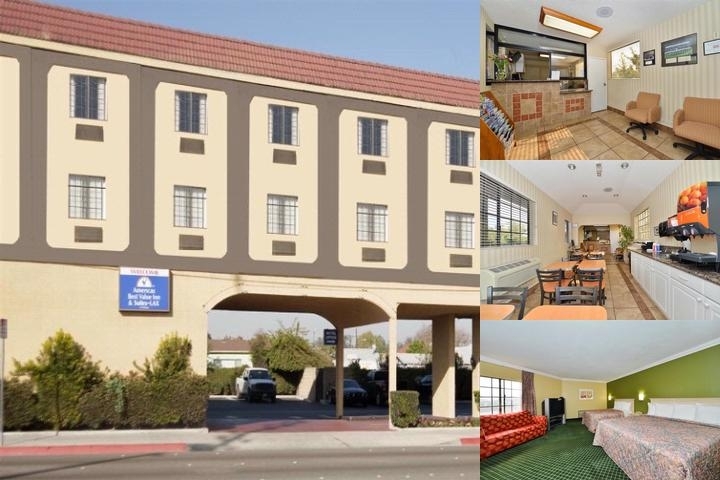 Americas Best Value Inn & Suites LAX Airport/El Segundo offers the most value for your money when staying for business, pleasure, or just passing through. We offer clean spacious rooms with in-room Wi-Fi, free continental breakfast and complimentary coffee in our lobby. All guest rooms include microwaves, mini-fridges, and 32 inch flat screen TVs.Take advantage of our extremely comfortable beds and relax while saving money year-round with our Kids Stay Free Policy (11 and under in parent's room).For your convenience our hotel is 100 percent smoke free. Sorry, no pets allowed. We are conveniently located off of Imperial Highway, between South Mansel Avenue and South Grevillea Avenue. We are only 4 miles from the Los Angeles International Airport and nearby several local attractions such as the Automobile Driving Museum, Manhattan Beach, and the Roundhouse Aquarium.Americas Best Value Inn & Suites LAX Airport/El Segundo is your best choice in Los Angeles County. We offer ideal accommodations and location whether you are in town for business, pleasure or simply passing through on your way to Santa Monica or Long Beach. At Americas Best Value Inn & Suites LAX Airport/El Segundo our goal is to provide our guests a great experience, not just a place to stay. Los Angeles International Airport LAX2.5 miletaxi/shuttle at airport approx $15 each way. Local Shuttle Info: Airport Shuttle Available for $15 per trip per group. For hotel guests with guaranteed room reservations only. Please call property for further details. free continental breakfast and complimentary coffee in our lobby. The Americas Best Value Inn highlights above are subject to change without notice. The graph above is trends of room rates for both group/meeting quotes and the lowest online individual prices our system could find at the time the group offer was entered. The most competitive group or meeting displayed is 12.3% in the month of January 2018 and the highest average individual rate is $140 in the month of November 2017. This chart will show past seasonality and also project future months. If you are flexible with dates, you may want to consider staying at Americas Best Value Inn & Suites Lax / El Segundo in a month when rates are lower.